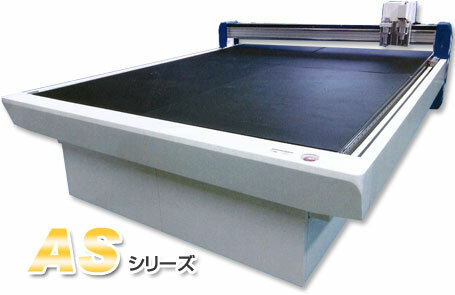 Toyo Shoji Co. is a group company of the TOYO DENKI SEIZO K.K. and selling the products which are developed and produced by TAIHEI ELECTRIC Co. which is under same group. 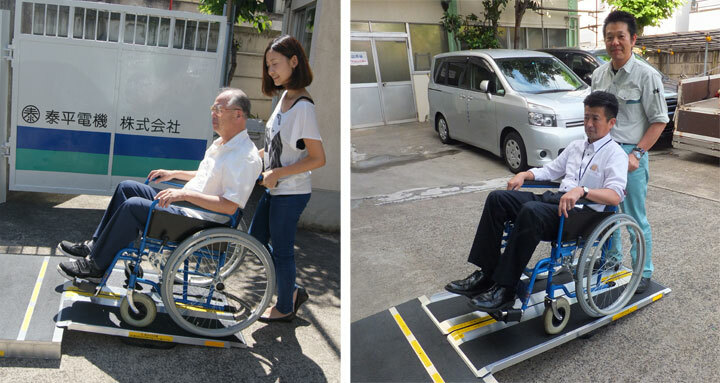 A portable ramp is on sale as a welfare apparatus for the wheelchairs and a lot of orders started coming from the logistics company too. It is getting very popular. A cutting machine, no requirement of punching die, is being operated in combination with CAD and well accepted in many countries the world because of ease to use, high efficiency, made in Japan. A New Generation Multi-cutting Machine. Adoption of double motor drive system ! The exact borders and cutting by high-performance timing belt system and strongly hard head. High strength and high accuracy due to the improvement of aluminum honeycomb board ! A new generation multi-cutting machine. Achieving the reduction of production time and punching die costs. It is most suitable for sample production and small-lot production. It is possible to diagonally cut of up to three layers of cardboard 15mm. Portable Ramp with light weight, compact design and safe as the welfare apparatus, can contribute a barrier free, step cancellation. 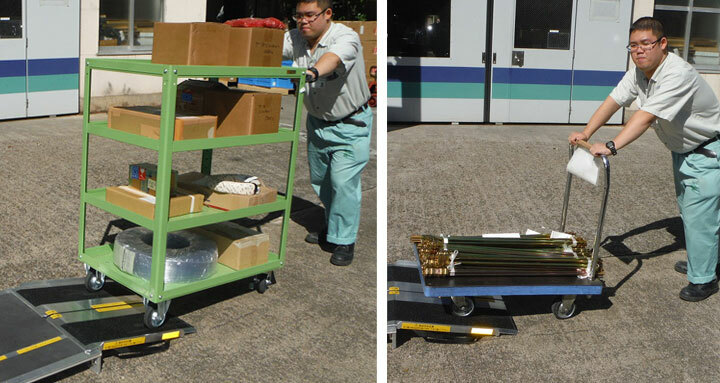 It is simple and also usable for trolley during transportation.